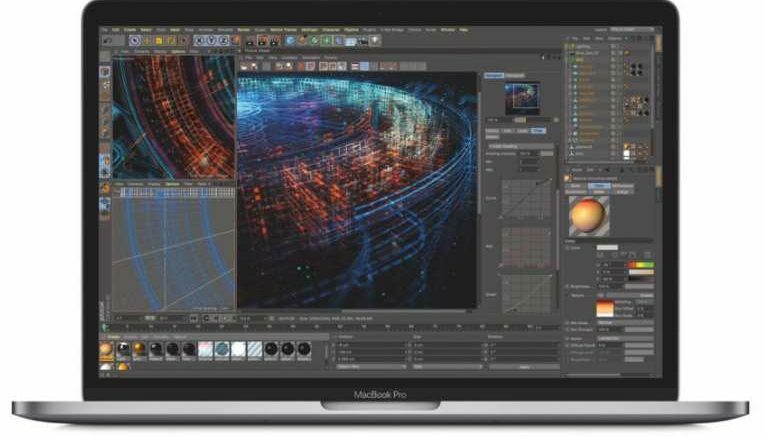 Apple has announced that they are refreshing their line of MacBook Pros with the latest 8th generation Intel CPUs. For the first time ever, you can now get a MacBook Pro with 6 CPU cores! This spec bump is thanks to the latest generation of mobile CPUs from Intel, which pack up to 6 cores. The 15-inch MacBook pro can be speced up to a 6-core CPU, while the 13-inch MacBook Pro is limited to “only” 4 cores. Maximum SSD capacity is also doubled, and the MacBook Pro line offers DDR4 RAM for the first time. The best you can get is an i9 CPU in the 15-inch model, which has 6 cores running at 2.9GHz. RAM is doubled, as you can now have up to 32 GB of DDR4 RRAM, and an AMD Radeon Pro 555X. The 13-inch model also get a specs bump. You can now have up to 4 cores, but only integrated graphics. The SSD capacity has doubled, allowing you to pack up to 2 TB of storage, and up to 16 GB of RAM. When it comes to the rest of the hardware, however, it did not change much. The design is the same, but the keyboard is slightly improved. Be the first to comment on "MacBook pro gets a massive performance boost"